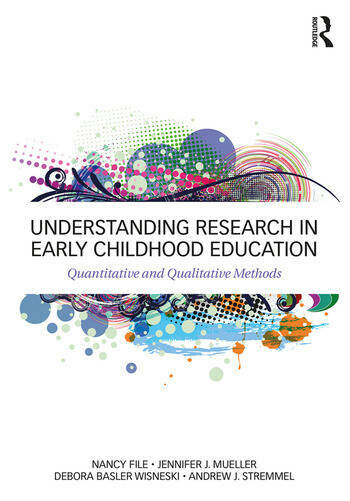 Understanding Research in Early Childhood Education: Quantitative and Qualitative Methods prepares readers to be informed consumers of early childhood research. Rather than following the traditional format of covering quantitative and qualitative methods separately, this innovative textbook offers side-by-side coverage and comparison about the assumptions, questions, purposes and methods for each, offering unique perspectives for understanding young children and early care and education programs. Understanding Research in Early Childhood Education is broadly based across the major research paradigms, and numerous examples are offered throughout the text. Through the use of this book, students will be able to more knowledgeably read, evaluate, and use empirical literature. These skills are becoming more important as early childhood educators are increasingly expected to use evidence-based research in practice and to participate in collecting and analyzing data to inform their teaching. Nancy File is Kellner Early Childhood Professor in the Department of Curriculum and Instruction at the University of Wisconsin-Milwaukee, USA. Jennifer J. Mueller is Associate Professor and Chair of Early Childhood Education in the Department of Curriculum and Instruction at the University of Wisconsin-Milwaukee, USA. Debora Basler Wisneski is John T. Langen Early Childhood Professor in the Department of Teacher Education at the University of Nebraska-Omaha, USA. Andrew J. Stremmel is Professor and Department Head of the Department of Teaching, Learning, and Leadership at South Dakota State University, USA.